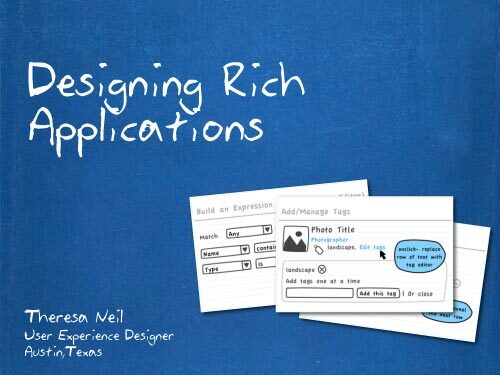 Delivered at DELVE NYC- a 2 Day Masterclass on Designing User Interfaces. This was an interesting read. Certainly an eye-opener as to know what is needed for rich applications and what’s not. A veeery good presentation! It really shows some ways to design interfaces to new interface designers like me thanks ! P.S. : Balsamiq Mockups is just Awesome !